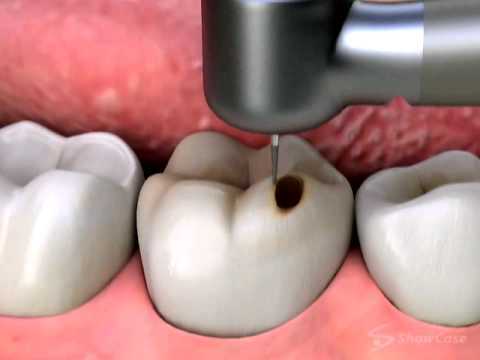 Sometimes your teeth are so damaged that a filling just isn’t an option, yet making a crown for it might not the best solution since it involves removing more of your teeth in order to make room for a crown. When this happens your best option may be an inlay or an onlay. Both of these procedures function as the middle ground between fillings and crowns since they treat only the area of the damaged tooth. Inlays and onlays are names for the same type of restoration. The only difference is the amount of teeth each procedure covers. Inlays are similar to fillings in that they fit inside the bumps on your tooth. Onlays on the other hand cover more surface area by wrapping over the bumps and sometimes even the entire chewing surface. Both inlays and onlays are custom made in ceramic to match the shape and color of your natural teeth. Patients require two visits to place their inlays and onlays. During your first appointment, any decay on your teeth is removed and an impression is taking. You will also be given a temporary filling. On the second visit, the temporary filling is removed and the inlay or onlay is permanently bonded. To get the most out of your your inlay or onlay, you need to maintain it by practicing good oral hygiene with daily brushing, flossing, and regular cleanings.